The bathroom may not be the space where you sleep or spend time cooking but it is also a very important room in the house. This is especially true when you are like thousands other people simply enjoying taking a long relaxing bath to wash off the worries and any sign of stress in their body and mind. The bathroom is also the place where we actually manage to finally wake up in the morning while getting ready to go to work. As a result, there is no possible reason why it should not be given as much attention as any other room in the house in terms of interior design. Let’s discover together some of the most interesting ideas for modern bathroom design this year. 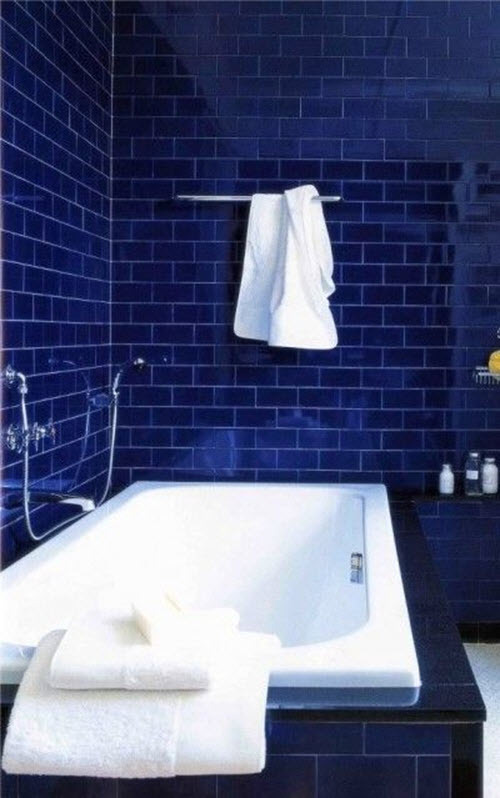 When it comes to bathrooms, cobalt blue is the color that rules! Whenever you are there taking a bath or a quick shower or simply admiring yourself in the mirror you are always in search of that feeling you get when you are at the seaside. Using cobalt blue when decorating it will help you achieve this every day. If you also add up a vintage mirror as well as Adriatic Sea hexagonal tiles, the results will be absolutely amazing. The bathroom is your small little secret room where all the makeup takes place in the morning before going to work or in the evening before attending a great event. It is where you allow yourself to feel relaxed and protected or just be yourself. This is why there should never be any compromise on quality and perfect design when it comes to bathrooms. A great idea you can consider is hanging a mirror at a certain angle above the corner sink. This will maximize every inch of your space. It also enables clutter to get well stashed behind the fabric skirt used for the sink. It will add up the necessary charm to your bathroom space and make it feel simply right. We all wish to follow modern trends when we design our bathroom but even the smallest sign of old world inspiration can make wonders when balanced with modern trends. How about including a piece of antique in the bathroom? It may sound strange but it is not at all once you see it. Even a Baroque mirror can do the trick. 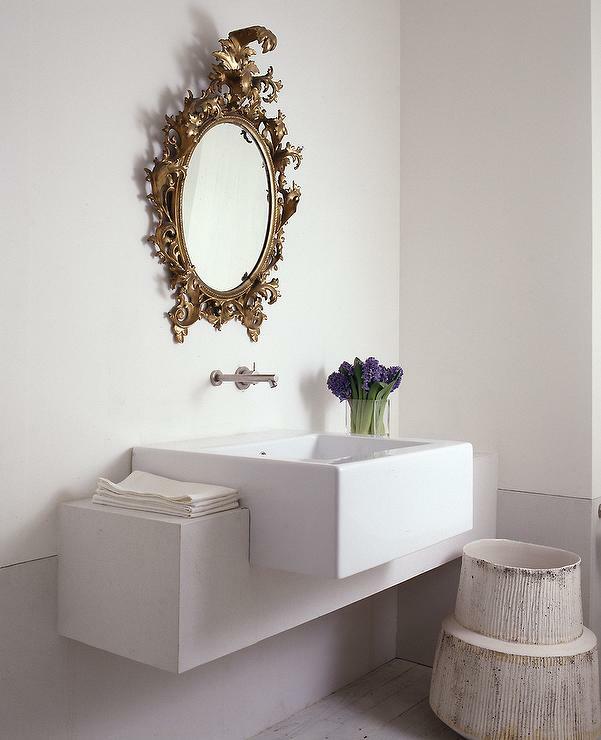 For those that are more daring, you can also choose a French limestone vanity for that bold effect you are looking for. The proper sense of fantasy will find place in your bathroom and make you want to spend even more time there. 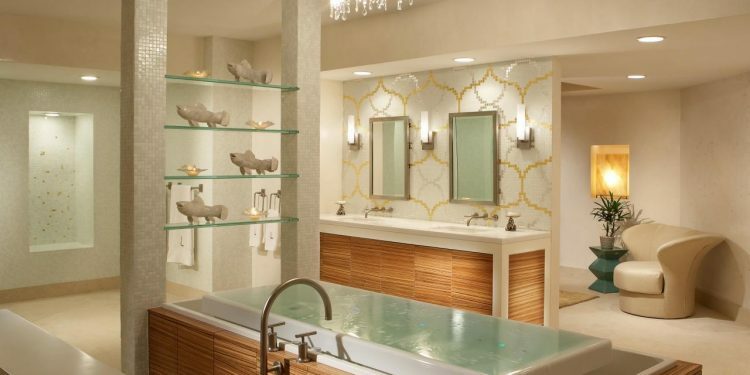 No matter whether you have a small or large-size bathroom, whether you are more into modern trends or classic elegance, there is always that right way in which you can make this space look amazing. It is all about paying attention to details, choosing the right items and perfectly matching them. 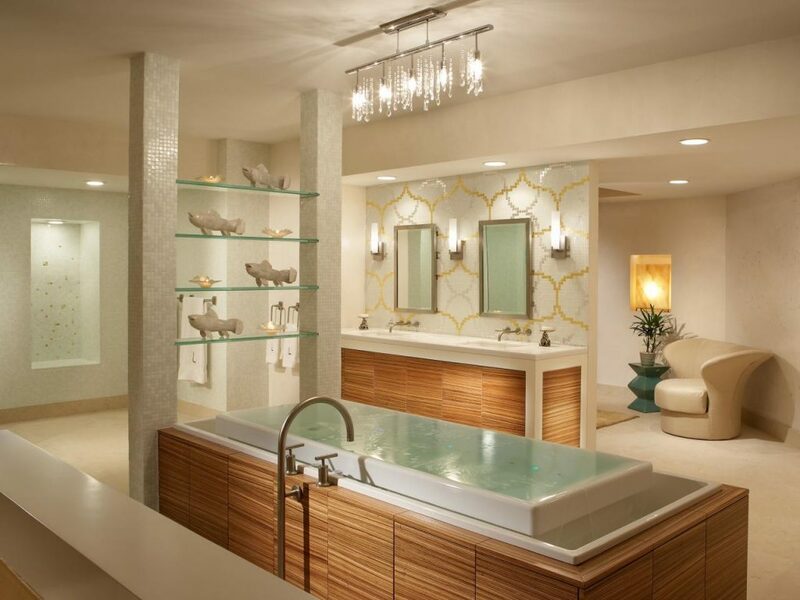 Colors are also very important and should perfectly balance the overall look of your bathroom.